The evening prior to departure all the yachts waiting for a weather window to depart, had a meeting. 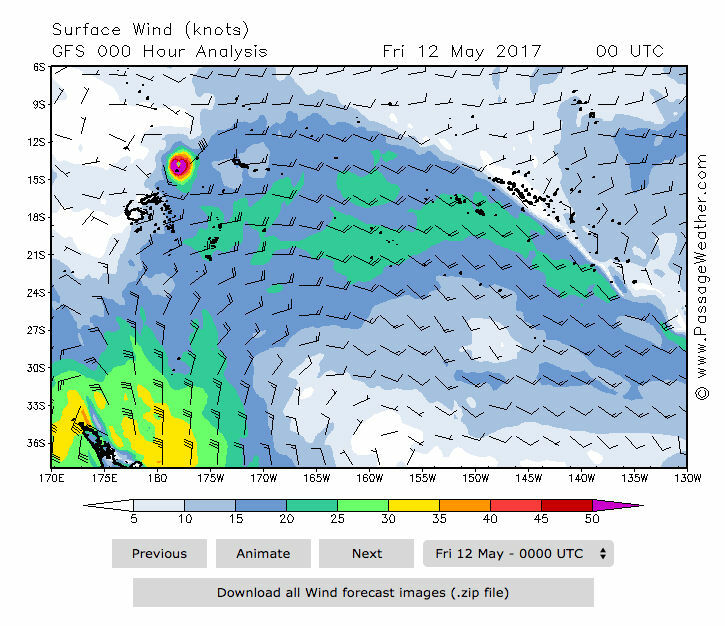 A number of them had some concerns about (yet another late cyclone), Tropical Cyclone Ella, that has appeared on the weather forecast North East of Fiji. 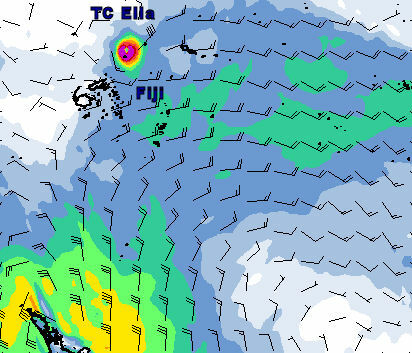 The forecast was that Ella was going to continue moving west and lose all of it’s intensity. Someone added to the discussion that it was a Category 2, forecast to go to Category 4 (Category 5 is as high as the scale goes). 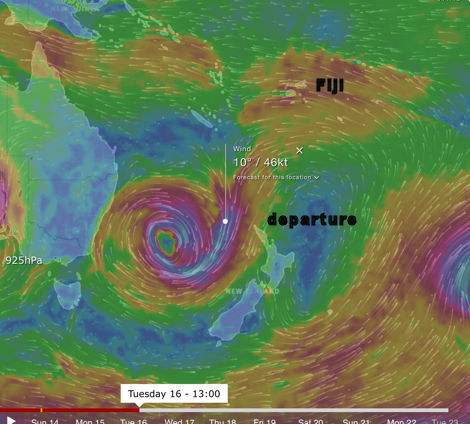 Somebody else added a fear that it could go the same route as Cyclone Donna, turning south around Fiji and head for New Zealand. Also of concern was a big low pressure system coming over from Australia, if Logic had of been averaging 200mile days, we would have been above it when it went below us 3 days post departure, but if we went and it ended up coming over higher than the forecast, we had the risk of a 50kt headwind. The sensible decision was the wait for the next high pressure system following this low, for a far less risky weather window. Kevin had to be back in Australia in 10days time, so there will be four on board for the passage. Only a few more single figure (Celsius) nights, and we will be off to 24C nights and 30C maximum days.